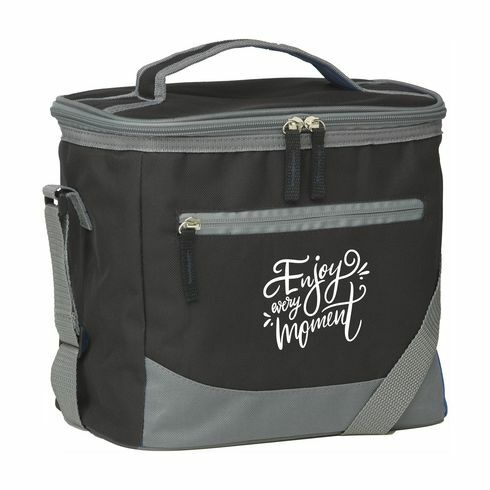 Handy cooler bag. Made of 600 D polyester. 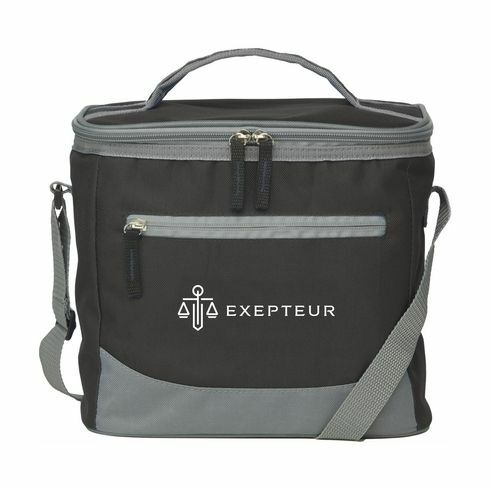 With large cooler compartment, front pocket with zipper, handle and adjustable shoulder strap. Suitable for 12 cans.